I&N Tanning and Beauty Salon is one of Dundee's finest salons and it is obvious why. With a wide range of facial and body treatments, this salon has become slowly but surely one of the most popular places in Dundee. Here you will find much more than just a beauty salon, you will find a place where both men and women can relax and have full customer satisfaction. Come and have an unforgettable experience! Aesthetique Beauty School Do you want to learn how to do a professional haircut or you just want to have an official qualification in beauty? Then Aesthetique Beauty School is your answer. 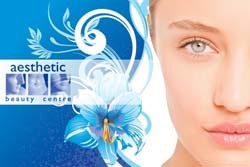 It is the first approved private beauty centre in Scotland and therefore here you will find the best professionals in town to teach you some secret beauty techniques. Its prestige and the high level of credibility recommend this place to be one of the best in town. A refreshing ambiance, professional products, a welcoming environment and friendly staff transform this place in a truly remarkable one. 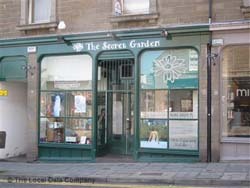 Enhancing their services and providing bio treatments seem to be this salon's main concerns; therefore, if you are up to a new haircut, a new nail treatment or a refreshing make-up you should come and visit 'The secret garden'. It is a notable place with a charming general atmosphere. 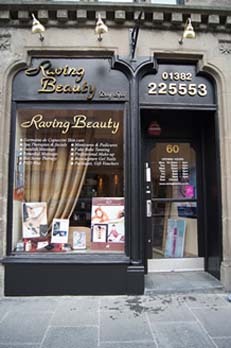 Since 2002 this beauty salon has become one of the leading powers in Dundee in what concerns proficient client services. Due to its professional products, spa treatments and sophisticated plant extracts this place may be your perfect opportunity to relax and have fun. Here you can find all sorts of treatments such as spa facials, advanced facial care, spa treatments, body solutions, eye treatments, tanning and make-up services and nail care. Do not hesitate to come here! Do you need a beauty consultation? Here you can find the professionals you desperately want to meet. With the most appropriate products and some suitable advices, any problem can be solved. Beauty therapists, hair specialists or make-up consultants, all are here for you. The comfortable environment and the tidiness of this salon will definitely impress you. Try it just one time and there is no doubt you will return.